After the launch, North Korea's KCNA press/propaganda agency published several pictures, showing Kim Jung Un directing the readying of the TEL with missile, and the launch. 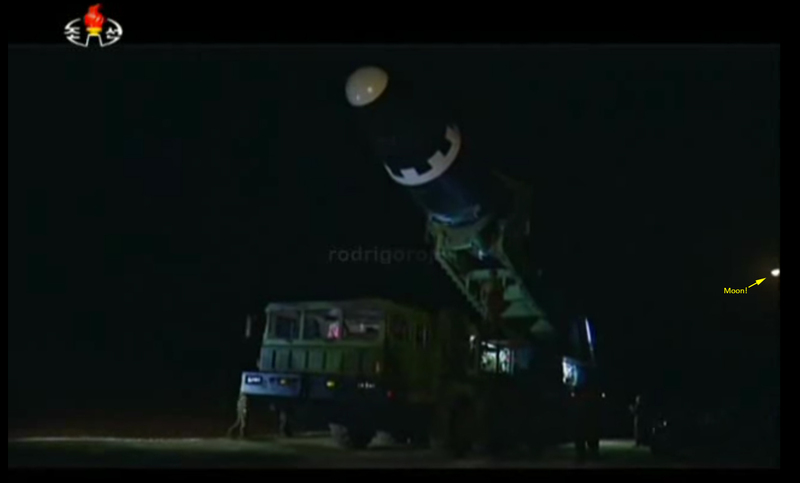 Several of these images, both from the missile erection sequence before launch and the launch itself, show stars. 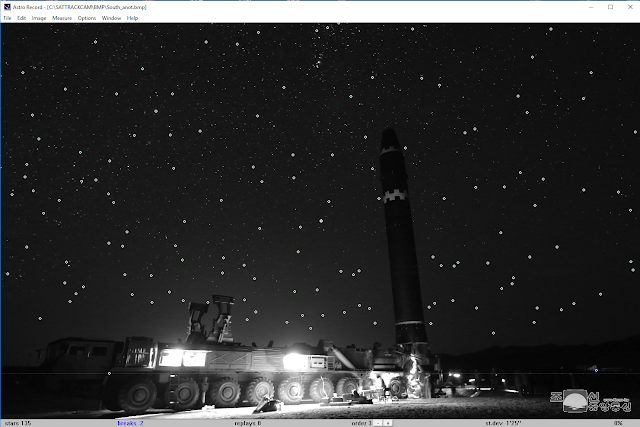 As part of the verification of a geolocation attempt, Jeffrey Lewis (@armscontrolwonk on twitter) of the Middlebury Institute of International Studies, a well known wonk of the North Korean (and other) missile program, asked me to look into these starry backgrounds. Could I say something about image orientations? These two images appear to be real (although, given what I will point out below, all images remain suspect, because they clearly aren't all real. With "real", I mean "untampered with" here). I used them to determine azimuth directions and the Local Sidereal Time (and from that UTC time) these images apparently were taken, by creating an astrometric grid over the image. In the image below, each dotted star is a reference star measured. 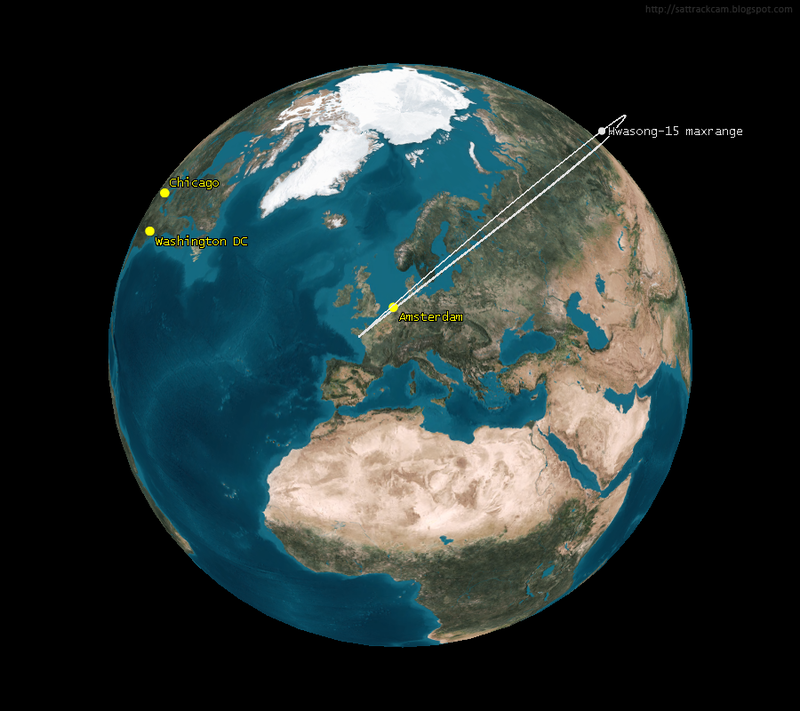 The two images below it show the reconstructed azimuth range for each picture. The real fun started when, yesterday evening, I started to look at the pictures of the actual launch moment. The fact that some of these show stars in itself is already something, as these images necessitate short exposures (unlike the pre-launch images above, which are long duration exposures), so you do not expect stars. But the real fun came when I looked at these stars visible. There, things clearly were not right! 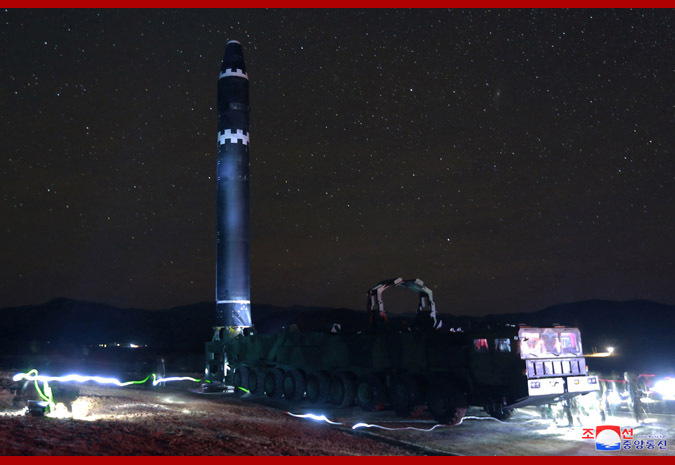 The shape of the exhaust cloud and exhaust flame (and the number decal, extremities and paint job on the missile) clearly indicate they were taken from the same viewpoint, probably within a fraction of a second of each other. But take a look at the stars in the background: these then should show the same sky area, right? One shows Orion, which is south-southeastwest. The other shows Andromeda with the Andromeda galaxy (this is a bit more clear in a higher resolution version I have), which is northwest. So these two images from the same viewpoint, show dramatically opposite sky areas. Below is another example, doing basically the opposite. 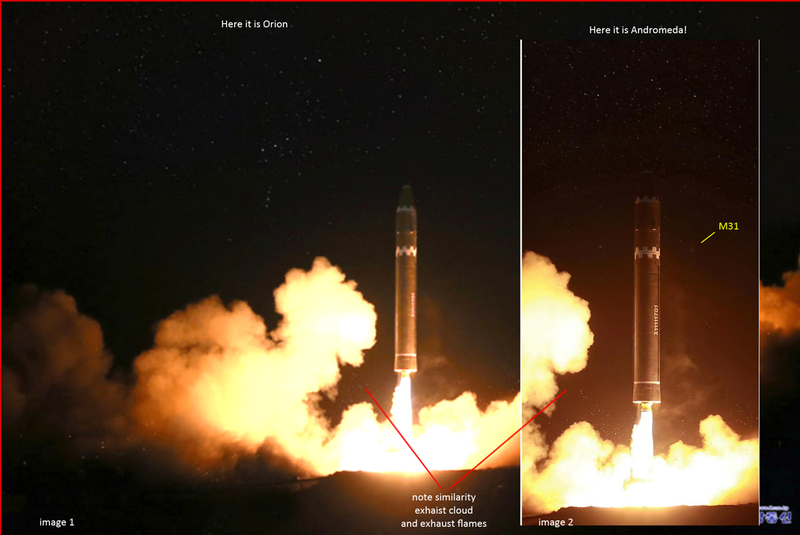 The mirror character of these two images, from the exhaust shape plume, exhaust flame shape, and the lack of number decal on the missile in one of the images, indicates they were taken from opposite viewing points. So the sky should show opposite sky areas on each of these, right? The top one shows Orion (but with Betelgeuze missing). The bottom one shows Canis major (but with Sirius missing). Orion and Canis Major are very close to each other, south-southwest at the time of launch. The images should show opposing sky areas, but don't. So clearly, the starry sky background was added to the imagery and is not original. 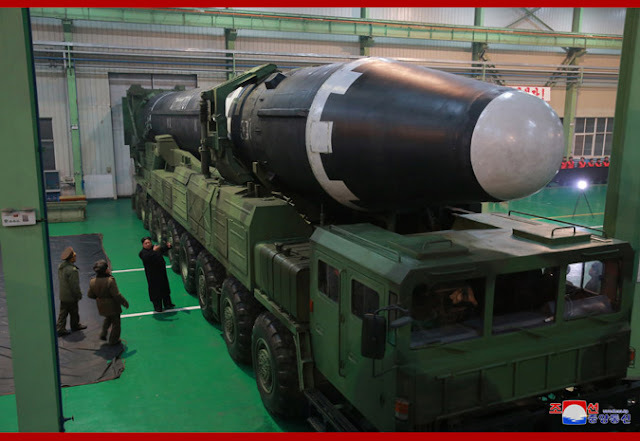 So why should North Korea have done this? The most likely reason is simply that they did it for aesthetics. 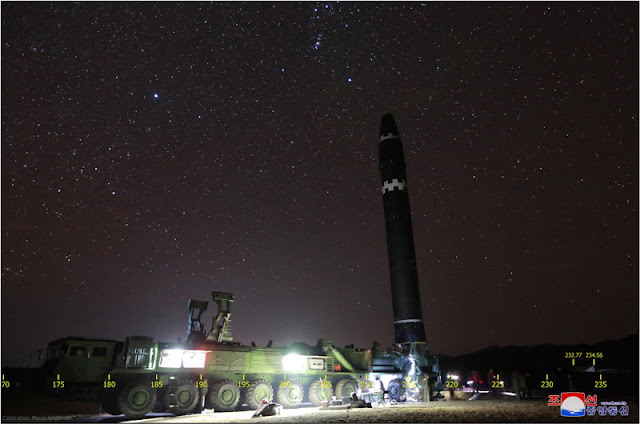 An ICBM soaring into the stars makes for good propaganda images. They apparently just didn't care enough to do it correctly. 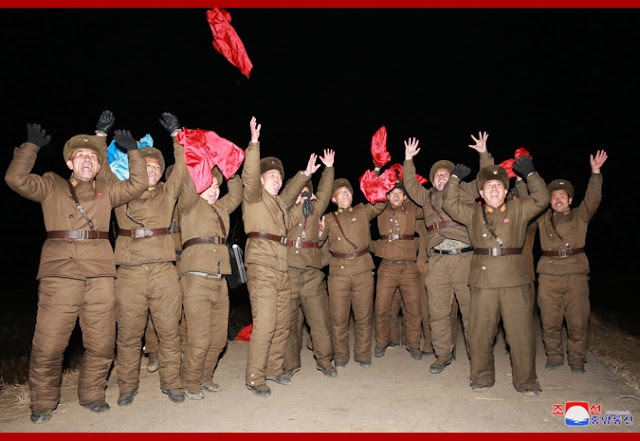 Aesthetics seem to be important in North Korean propaganda pictures. They frequently photoshop the ears of Kim Jung Un in pictures, for example. 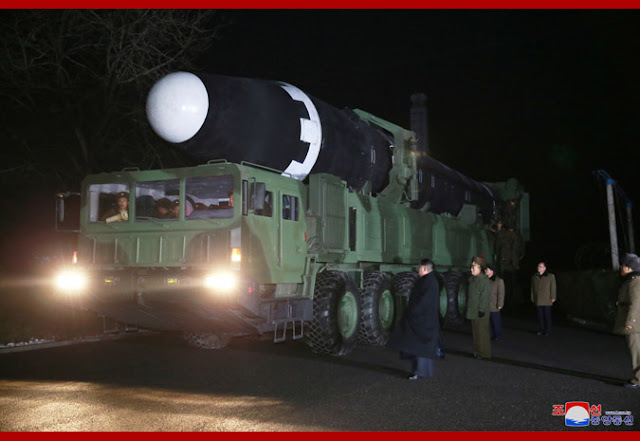 Or maybe they wanted to play a prank on analysts as well: they know these images will be analyzed by the west. Fooling around with clues as to the orientation of images makes it harder to glean information from them on 3-dimensional missile shape, and launch site geolocation. 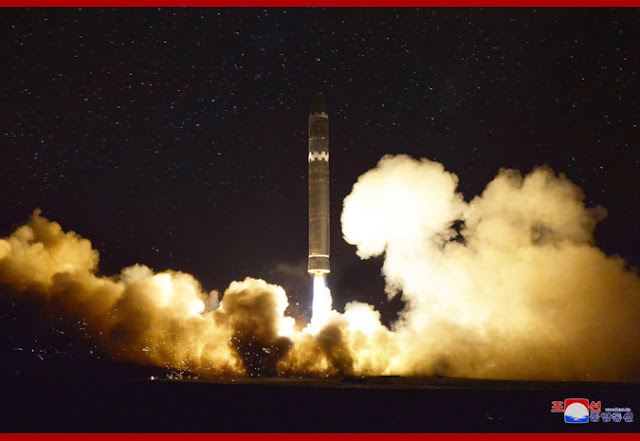 To be clear (because some hare-brained individuals on social media seemed to think that was implicated, even though it nowhere is): nobody disputes that the launch was real. 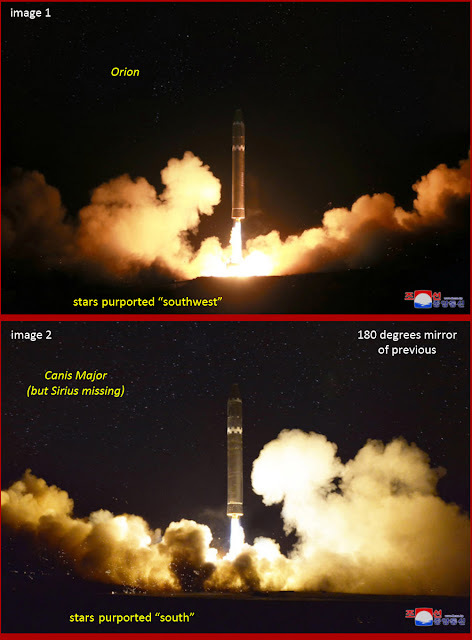 But at least some of the launch images have been clearly doctored, and show elements that were added later. 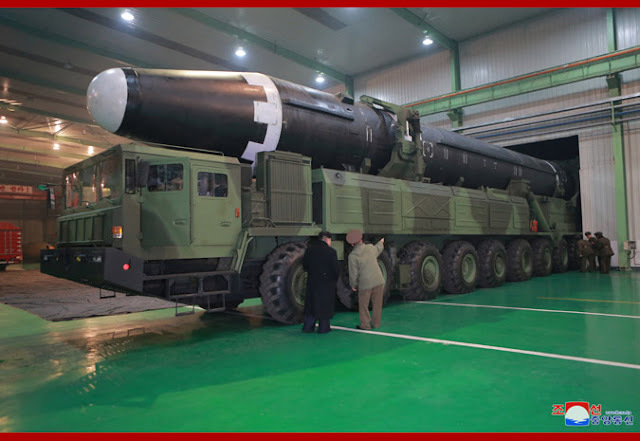 This is, of course, something we have seen earlier with North Korean propaganda images (some examples are given in the CNN article linked below). 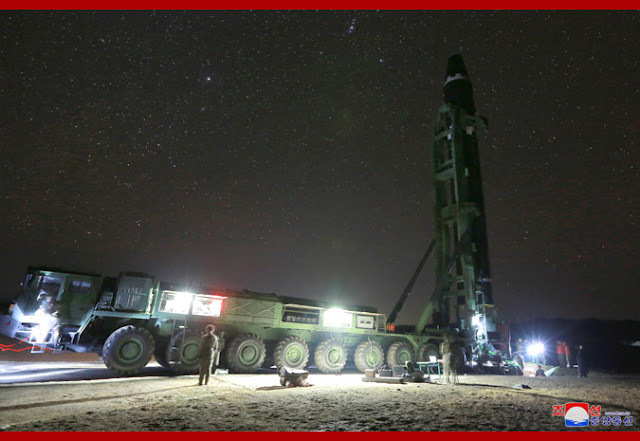 End note: I still think the pre-launch imagery showing the TEL with missile being erected in the field is unaltered. 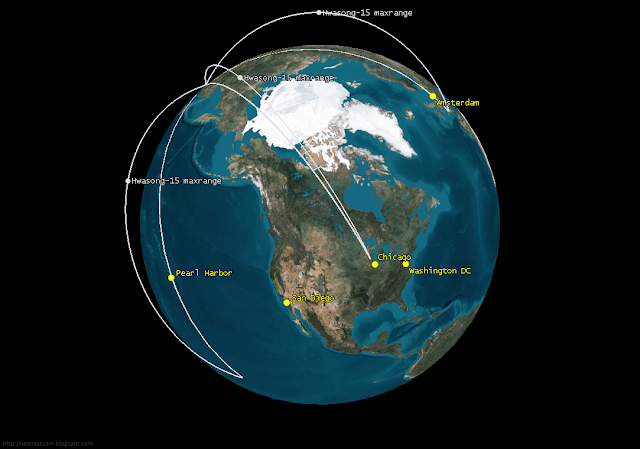 So maybe my azimuth and timing determinations from these is are valid. But I cannot proof it, and of course now all the images must be considered suspect. If the video was not altered, then together with earlier images showing the missile on the TEL leaving the plant, this orientation means that any of the launch pictures showing the number decal on the missile should actually be looking Northeast to East.